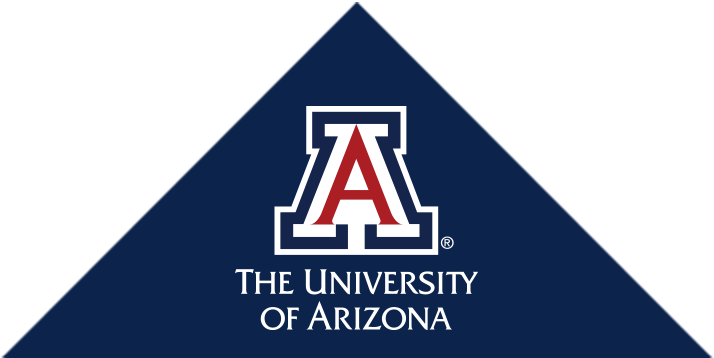 The Department of Medicine is associated with several outstanding University of Arizona centers and institutes, which serve multiple roles in advancing our missions in health care of education and training, research and excellent patient care. Dedicated to eradicating arthritis as a cause of human suffering through biomedical research, teaching and patient care, the UA Arthritis Center—launched in 1985—was one of the first to employ a multidisciplinary approach to combat arthritis and bone and connective tissue disease. Research areas at the Center include innovative surgical techniques, use of new drug and other therapies, reduction of costs related to arthritis care, development of artificial joints and major new treatments in rheumatoid arthritis, lupus, osteoarthritis, scleroderrna, vasculitis and other related diseases. Internationally known for its research into the causes and modes of development of emphysema, chronic bronchitis and asthma, the UA Asthma & Airway Disease Reserch Center (formerly the Arizona Respiratory Center) brings together experts in immunology, pathology, radiology, internal medicine, pediatrics, pharmacology, computer science and many other disciplines to attack respiratory disease in children and adults. The first "Center of Excellence" designated at the UA College of Medicine, it began as the Arizona Respiratory Sciences Center in 1971. More recently, it was recognized by U.S. News & World Report as one of the top institutions for respiratory care among hospitals nationwide. Established in 1976, the UA Cancer Center mission is to prevent and cure cancer. Prior to this, cancer patient care was the function of the Division of Hematology & Oncology, which is now a shared division between the UA Department of Medicine and the center. The center’s vision is to be the preeminent leader in achieving freedom from cancer through creative collaborations, excellence in research, and research-driven, multi-disciplinary cancer prevention and patient care programs. The creation and dissemination of our knowledge is achieved through translational research, therapy and technology development, and novel programs in education and training. Our priority is to assure that all those at risk for and affected by cancer have access to the highest quality care. The goal of the Center for Applied Genetics and Genomic Medicine (TCAG2M)—based at the Tucson campus of the University of Arizona Health Sciences—is to apply genetics and genomic biology to improve healthcare delivery for the people of Arizona. TCAG2M supports outstanding translational and clinical research into the etiology of disease, and the development of new approaches to manage these conditions in the clinic. To achieve this goal, TCAG2M has created divisions in cancer genetics, cardiopulmonary genetics, genetic consultation and counseling, community engagement, genome technologies and innovation, pharmacogenomics, and population genetics to advance our translational and clinical agenda. The UA Center for Biomedical Informatics & Biostatistics (CB2)—created in 2015—has a dual mission of promoting research and offering services and tools in the fields of bioinformatics and biostatistics. Over 20 staff biostatisticians, clinical informaticians and computational biologists work synergistically to conduct biostatistical studies, epidemiological analyses and research design as well as biomedical informatics analyses that comprise data from expression array analyses, high-throughput sequencing, proteomics, clinical warehouse, tissue specimen management systems, clinical trial management systems, and other biomedical data sources. The goal is to use advance data science methods and tools to discover better treatments, predict response to therapy or disease progression, and intervene positively in clinical care. Key areas of contribution include precision medicine, cancer research, health equity and diversity, and population science. The UA Center for Disparities in Diabetes, Obesity and Metabolism serves as a nucleus for interdisciplinary studies that form the foundation for translation of biomedical research to advanced, evidence-based clinical care in the community. A major focus is to facilitate development of innovative approaches to delivery of care and prevention, serving a diverse population in one of the most high-risk yet underserved regions in the nation. The center also is working to create a biobank and research registry focused on obesity and type 2 diabetes risk in the Hispanic/Latino population, while also creating a biobank registry with patient bio-specimens that would be accessible to other studies focusing on other aspects of health of importance to the local community and broader population. The UA Center for Integrative Medicine (AzCIM) is leading the transformation of health care by training a new generation of health professionals and by empowering individuals and communities to optimize their health and wellbeing through evidence-based, sustainable, integrative approaches. Designated a "Center of Excellence" by the Arizona Board of Regents in 2008, the Center is internationally recognized for its innovative educational programs, clinical practice model, and research that substantiates the field of integrative medicine and influences public policy. Since the Center’s creation as the Program in Integrative Medicine by integrative medicine pioneer Andrew Weil, MD, in 1994, its vision of making integrative care available to all is being realized worldwide: Center graduates are now guiding more than four million patients to take a greater role in their health and healing. The UA Center for Sleep & Circadian Sciences was established in May 2016. The center brings together researchers from three of the health sciences colleges (Medicine, Nursing and Public Health) who belong to various departments (Medicine, Psychiatry and Physiology). Collaborators from the Colleges of Education, Science (Psychology) and Agriculture (Nutritional Sciences) also contribute to the center’s mission. Besides four areas of emphasis set by the UAHS Senior Vice President’s Office—neuroscience, population health and outcomes, precision science, and health disparities—the center focuses across the translational spectrum from knowledge generation to dissemination and implementation science. The UA Center on Aging (ACOA) is committed to addressing the health and human welfare of seniors through an integrated program of research, education and excellence in health care and service. Founded in 1981, the Center has a mission to advance the scientific study of aging, provide interdisciplinary education and clinical training in gerontology, geriatrics and long-term care, and provide clinical and community services to Arizona's aging population. The programs of the Center focus on the behavioral and social, biological and health sciences, as well as research focused on social policy and practice. The UA Petersen HIV Clinics, operated by the UA Division of Infectious Diseases in conjunction with our clinical partner, the Banner – University Medical Center Tucson hospital, provides comprehensive care for HIV/AIDS patients in southern Arizona. The clinics are named for long-time UA Infectious Diseases Section Chief Eskild A. Petersen, MD, who retired in 2008. With the support of the federal Ryan White HIV/AIDS Program, all eligible HIV-positive patients can receive primary care at reduced or no cost. In 2015, the University HealthSystem Consortium rated HIV care provided at the clinic as third best in the nation. The Arizona AIDS Education and Training Center (AETC), which is operated by the UA Division of Infectious Diseases through a federal HRSA/HHS grant via the Ryan White HIV/AIDS Program, is a local partner of the Pacific AIDS Education and Training Center. It helps provide health care professionals with the knowledge and skills necessary to provide outstanding care to people living with human immunodeficiency virus (HIV) and acquired immune deficiency syndrome (AIDS). The UA Sarver Heart Center is dedicated to the prevention and cure of heart and vascular disease through the three academic pillars—research, education and patient care. Its members not only conduct 90 percent of the heart and vascular research in Arizona, they also are a major resource for cardiovascular education. Each year, the Center’s cardiovascular physicians and surgeons perform more than 2,500 procedures. The cardiothoracic transplantation program has one of the highest survival rates in the world for heart transplants and was the first program approved by the U.S. Food and Drug Administration to implant artificial hearts as a bridge-to-transplant. The UA Thomas D. Boyer Liver Institute (BLI), established in 2000 by founding director and the late former department chair Thomas D. Boyer, MD, provides state-of-the-art treatments for patients with all forms of liver disease. By participating in clinical trials of new therapies, the Institute is able to provide many patients with early access to potentially life-saving treatments before they are available to the general public. Clinical trials are performed in collaboration with the pharmaceutical/device industry as well as the National Institutes of Health. The UA Valley Fever Center for Excellence was established in 1996 to address the health repercussions of the fungus Coccidioides, the cause of coccidioidomycosis—Valley Fever. Two-thirds of all U.S. infections occur in Arizona, mostly in urban areas surrounding Phoenix and Tucson. The Center’s mission is to mobilize resources for the eradication of Valley Fever through: 1) the development of public awareness and education about Valley Fever, 2) the promotion of high quality care for patients with Valley Fever, and 3) the pursuit and encouragement of research into all aspects of Coccidioides sp. and the diseases that it causes.